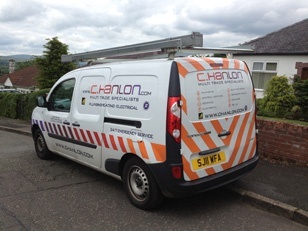 Established in the early 1900’s, C Hanlon is an all trades company based in Glasgow specialising in installation, repair, and maintenance services to domestic and commercial clients – including plumbing, heating to roofing and electrical work. Due to their business strategy, C Hanlon needed to enhance levels of service to their customers by becoming more reactive to customer needs. In order to do this C Hanlon required a system which would allow them to provide customers with accurate ETA’s and a way to produce more accurate billing. In addition, the company were also looking to implement a solution which would allow the directors to monitor call activity to ensure calls were not missed and high levels of productivity were being achieved. Finally, C Hanlon wanted to join their preferred solution to a core management system already in place, which would enable them to manage jobs more efficiently by having full visibility of their workforce. 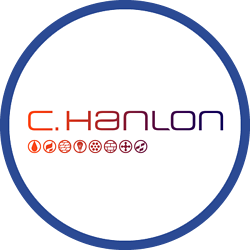 Although C Hanlon already had experience with previous tracking providers, they wanted greater flexibility from the new solution which could also assist management with personnel productivity. C Hanlon implemented Crystal Ball’s FleetTracker, MobileTrack Pro and MobileMonitor solutions in 2013. All three solutions operate on one single platform which was not offered by any other tracking providers. The combination of FleetTracker and MobileTrack Pro allows the company to gain full visibility of their staff via a live map display – which allows jobs to be allocated to engineers based on real-time locations. The system also monitors and reports on out-of-hours jobs which are used for audit trail and billing purposes. MobileMonitor’s smartphone app transmits mobile usage data to Crystal ball’s system in real-time. This application allows management to monitor in-bound and out-bound call activity, with automated alerts against any missed calls. Since the introduction of Crystal Ball, C Hanlon now has an effective workforce management tool in place which provides complete visibility of their staff 24/7. This capability has addressed one of the key challenges as they can now understand real-time locations of their engineers and allocate them to jobs based on proximity, therefore increasing workforce efficiency. The company also utilises the alarm features offered by FleetTracker and MobileTrack Pro. This has been beneficial as management are now alerted if a company vehicle is moved out of the hours when it is not supposed to. Additionally, the live-web based tracking element of Crystal Ball is soon to address another challenge by enabling C Hanlon to provide an increased quality of customer service. Moving forward the company will be utilising this feature to become more reactive with customers by providing regular ETA’s and deliver more accurate billing.